The PBBA is affiliated to the British Horse Society, which provides us with liability insurance and guidelines for running events. 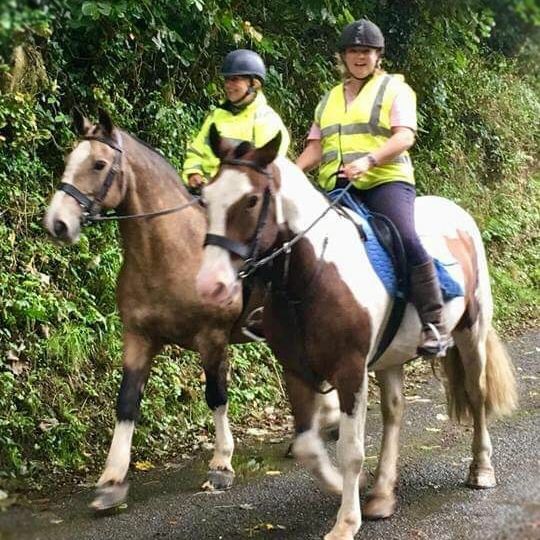 Our aim is to raise funds to improve existing, re open abandoned bridleways and byways and provide excellent equestrian routes and facilities throughout Pembrokeshire. We work in conjunction with the BHS County Accra and Bridleways Officer (CABO), Country Side Access team (Pembrokeshire County Council), SUSTRANS, and Pembrokeshire Coast National Park Authority to this end. Throughout the year we hold organised rides, and social events. These are open to all members. See our events page for more information. Membership for 2019 is £15 for individual and £25 for family consisting of up to 2 adults and 2 children under 16. Membership forms can be found on our events page. Organised rides are £10 per person. If you are interested in helping out at any events please get in touch with the secretary. We are often on the look out for people to help with marshalling, route planning and risk assessing.